FBI Agents Fox Mulder (Duchovny) and Dana Scully (Anderson) returned to the spotlight in recent years for a successful revival of the hit show, which returned to television for its 10th season in 2016 after a 14-year hiatus from the small screen (and an eight-year layoff since The X-Files: I Want to Believe hit theaters in 2008). The warm reception to that six-episode revival prompted the Fox network to deliver a 10-episode 11th season in 2018. While there’s currently no official confirmation of a season 12, there are more than 200 television episodes, two feature films, and countless tie-in novels and comic books to keep fans immersed in Mulder and Scully’s adventures tracking aliens, monsters, and strange phenomena. With that in mind, we compiled a list of 10 episodes that best exemplify why the series is so beloved by those who know it. After considering all 218 episodes across 11 seasons, here are the 10 best installments of The X-Files. If you’re feeling ambitious — or a little nostalgic — you can stream the entire series now on Hulu, or purchase individual episodes and seasons to watch on Amazon Prime Video, iTunes, and other streaming platforms. You won’t find this episode on many best-of lists, but it’s one of our personal favorites. The story follows Mulder and Scully as they investigate a series of murders that seem to involve an invisible killer, which doesn’t seem like anything all that special until you finally get a glimpse of the killer and, well — let’s just say this is the only episode of the series that still gives us nightmares. 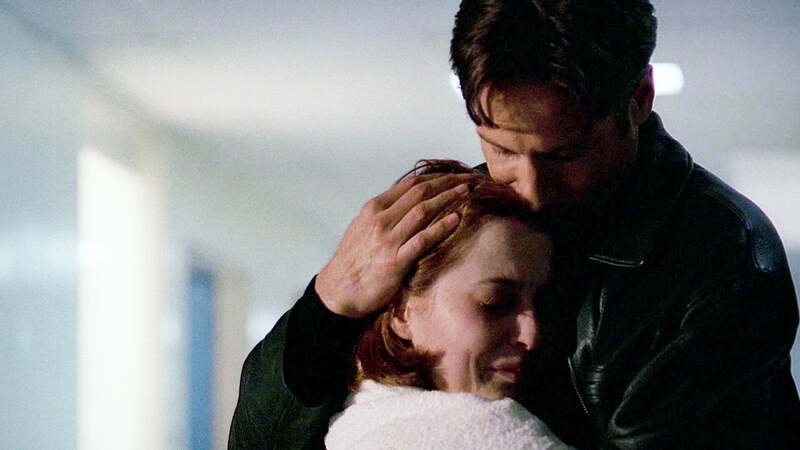 One of the series’ most heart-wrenching episodes, this 1997 story introduced Scully’s aggressive cancer diagnosis, which would become a recurring plot point throughout the rest of the series. 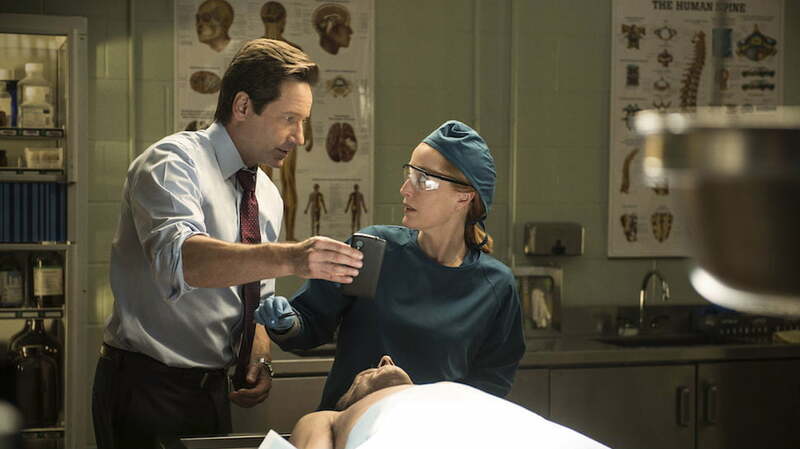 The episode unfolds from two perspectives: Scully’s own efforts to come to terms with her fatal diagnosis and Mulder’s desperate quest for both answers and a cure. Duchovny and Anderson’s characters were brought closer than they ever had been before in this emotional arc that reverberated from this point to the end of the series’ run, and the script earned a Primetime Emmy Award nomination for Chris Carter, Vince Gilligan, John Shiban, and Frank Spotnitz. It also earned Anderson a lead-actress Emmy for her performance in this episode and the fourth season as a whole. It’s no surprise that this episode is generally considered to be one of the best chapters of the X-Files revival seasons, given that it brings back the series most acclaimed writer, Darin Morgan, for a monster-of-the-week episode featuring two of the most talented comedic actors on television: Rhys Darby (Flight of the Conchords) and Kumail Nanjiani (Silicon Valley). The story has Mulder and Scully investigating a grisly murder in Oregon that might have been committed by a mysterious creature. Darby proves to be the episode’s big scene-stealer in the role of Guy Mann, a mobile phone store employee who may or may not be able to transform into a giant lizard creature. Funny, touching, and thought-provoking in all the right ways, this episode simultaneously served to renew Mulder’s faith in himself and fans’ faith in the series. Typically considered to be either the best episode of the series or simply one of the best, writer Darin Morgan’s eccentric alien-abduction story is a constantly shifting narrative that doubles back on its own story countless times, and ends up being a brilliant satire of the series itself. It’s the most meta episode in the show’s entire run, making playful use of its unreliable narrators — including Mulder and Scully — to craft a story that only comes close to making sense when you step outside the universe the series had spent three seasons drawing its audience into. It speaks volumes to how groundbreaking a series The X-Files was that one of its greatest episodes is a satire of its own conventions. One of the greatest legacies of The X-Files is how many now-famous television and movie legends once appeared in the series or had a creative role in it at some point. Breaking Bad creator Vince Gilligan had been a regular writer on the series for quite a while before he penned this episode about a loathsome man who takes Mulder hostage and forces him to drive across the country due to a mysterious affliction that will kill him if he slows down. While the episode itself is excellent, it’s the casting of Breaking Bad star Bryan Cranston as the aforementioned anti-semitic, racist bigot that really makes it fascinating to watch. This was the episode that Gilligan recalled when casting for his own iconic series years later, and it’s worth checking out as a great example of The X-Files’ long-term place in television history. One of the weirder episodes in the series (which is saying a lot), this surreal spin on the Frankenstein story was written and directed by series creator Chris Carter, and it’s a perfect example of how much fun Carter was willing to have with the series — and how strange the series could be, in all the right ways. At this point in its run, X-Files was already a big hit, so Carter had the freedom to tell a quirky, stand-alone story that let him toy with fans and show them the series was more than just a weekly scare. Oh, and it was also nominated for seven Emmy Awards the year it aired. This grisly, nightmare-inducing episode about an inbred family of killers was so terrifying and controversial that Fox famously decreed that it would never be aired again after its initial broadcast prompted a flood of complaints from concerned viewers. Ask almost any fan of the series to name the scariest episode, and nine out of 10 will say “Home” (and then shudder uncontrollably, most likely). 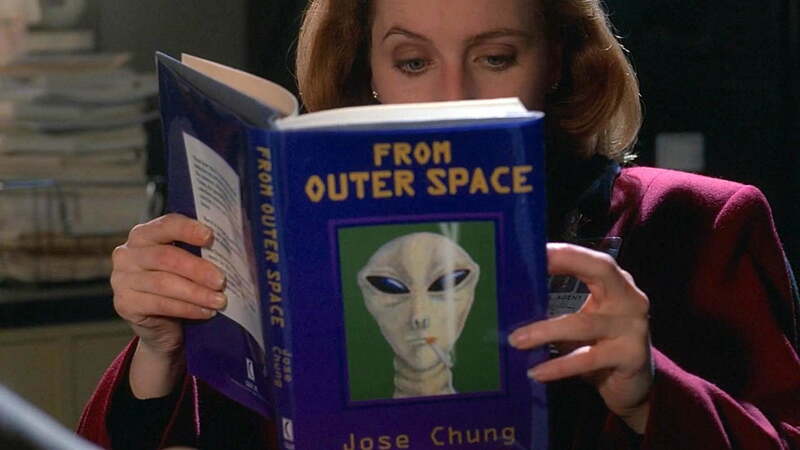 This was the episode that truly established The X-Files as a vehicle for horror stories as much as conspiracy theories, urban legends, and sci-fi tales. This early entry in the series established that The X-Files wasn’t just going to be about alien investigations and UFO sightings. A tone-shifter that tells the terrifying story of a killer who can get in and out of any space — no matter how small — in pursuit of his prey, the episode became the first of many “monster of the week” stories that became one of the hallmarks of the series. Critically praised, the episode also took great steps in developing the relationship between Mulder and Scully when the latter becomes the intended victim of the gruesome killer. While the mythology episodes of the series provided the groundwork for the show’s massive, season-to-season popularity, it was the stand-alone episodes that often showed the potential for truly unique storytelling that the series provided its writers. Peter Boyle won a Primetime Emmy Award for his portrayal of cynical psychic Clyde Bruckman in this October 1995 episode, which has Mulder and Scully enlisting his help to solve a series of murders. The episode is widely regarded as not just one of the series’ best, but one of television’s best episodes of any series, combining a wide range of storytelling elements into a compelling, beautifully presented narrative that explores issues of life and death and how much we really want to know about them. The story was penned by Darin Morgan, who also won an Emmy for his work on the episode.